Stop by the Farmer’s Market this weekend and you’ll see bushels of red on every farm stand. A sight for sore winter eyes, the pop of color and shapes perks up any waterlogged Cascadia resident. 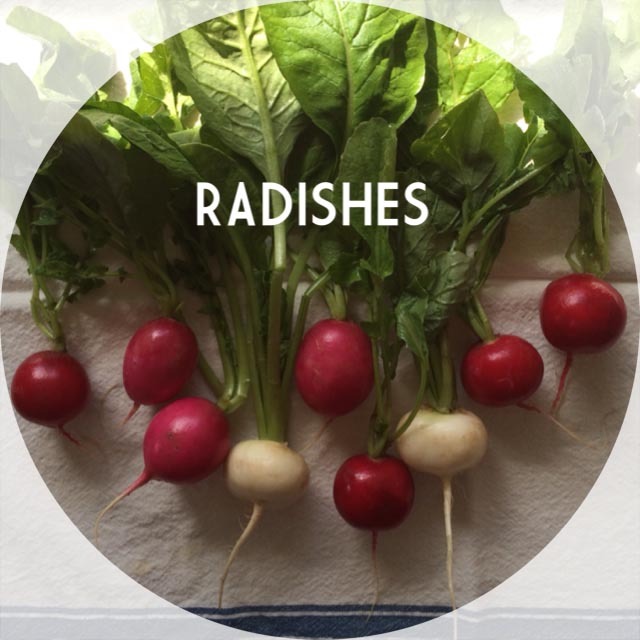 Radishes are waiting to be discovered beyond translucent thin slices garnishing your salad. Props if you are already enjoying radishes sliced in half and smeared with a bit of european butter and sprinkled with flaky sea salt. Here are a few more ideas for putting radishes to good use, so pick up a few bunches for the week and try these recipes for radishes from around the web. Radish Couscous could become your new go to spring comfort dish from Food52. 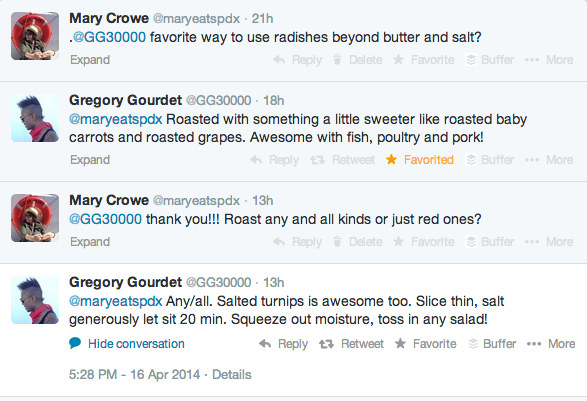 Roasted Radishes from Portland blogger Lindsay of Rosemarried. Didn’t know you could roast radishes? You can! A great side dish for fish. And from Portland’s Gregory Gourdet, Executive Chef at Departure: Feeling inspired?